The brain of the horse is literal, straightforward mainly devoted to its body and movement. Void of a verbal symbol system, horses use their senses in a heightened way to navigate and make decisions. The concerns of the horse are simple, consistently targeting food, safety, understanding, and peace. In their own world and ours, they quickly learn sequence patterns of movement necessary to achieve those targets. 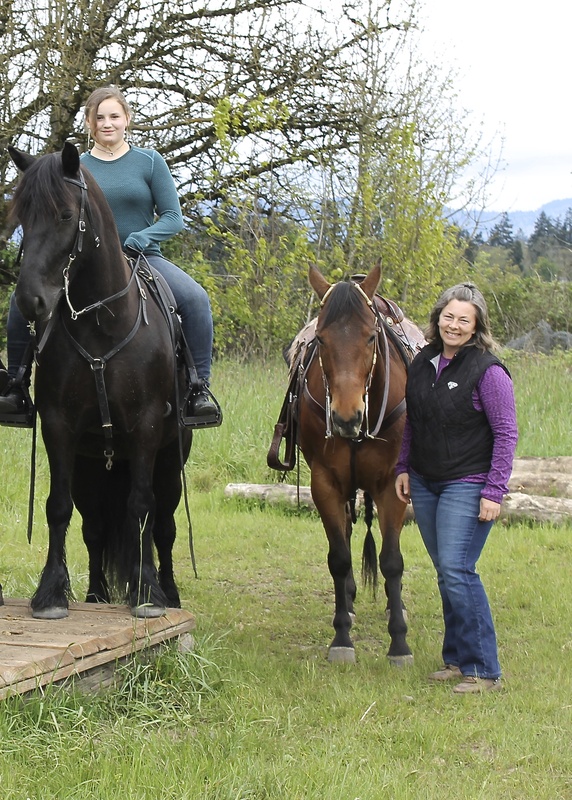 Highly aware and influenced by the movements of others, horses can learn how to navigate safely and synchronize with a human both at eye level and under saddle. They can do this and will do this if WE stay consistent with what we say and do with our bodies. Our body awareness, assigning meaning to a code of movement allows us to be minimal (quiet or non-existent) with mechanical aids. Most equestrians spend minimal amounts of structured time at eye level with horses. Because of this, awareness of how the horse thinks, solves problems, navigates and moves has not developed to full potential with the equestrian. So much valuable learning can happen for both horse and human with regard to bio-mechanics, emotions, thought patterns, and body language. Working at eye level provides great opportunities to learn and develop rapport, understanding, and develop the bond we seek. When you are an active participant in the navigation, you are given the opportunity to shift your mind-set to "we are navigating together". This is the foundation, the beginning of where centaurs emerge. Trail/Obstacle Long Line Demonstrations and Workshops. Go to Education Page for more information. NoBridleFellPony from Kimberly Dunn on Vimeo. GetGroundedMemories from Kimberly Dunn on Vimeo.